With financial literacy, entrepreneurial thinking, innovation, and creativity leading the business world right now, for the next generation, these concepts will be non-negotiable skills every leader will need to know. A three-day weekend can only mean one thing: road trip! Join Bea and her friend, Lander, as they hit the road with their families and head to the beach. What’s waiting for them? Sun, ocean water, sea shells AND a new business venture: selling water bottles! Bea learns fast, however, that business isn’t always roses - especially if partners don’t agree or success comes at a cost. Can Bea and Lander pull together to take on the challenges and accept the responsibility of building a new business? Bea's friend, Gracie, needs to figure out how to earn a B-I-G sum of money . When Bea discovers Gracie's passion, she's all in to help. The two friends team up to plan and launch what they hope will be a hugely successful caramel popcorn business! 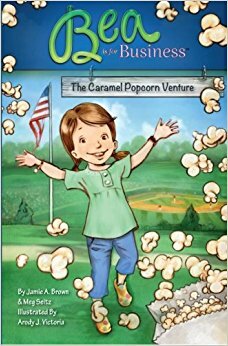 But, after a run-in with a bully classmate, slow sales, and competition from another business, will the caramel popcorn business ever "pop" so Gracie and Bea can earn enough money? Bea is at it again, and this time, it's party time! Join Bea and her friend, Makayla, as these two young entrepreneurs team up to launch a party-planning venture! Learn about a service business, some basics of market research and follow some simple steps to start any business. 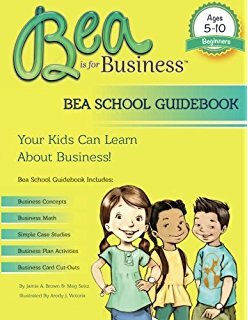 Now, also available: Bea is for Business Bea School Guidebook. Great for families, classrooms, and camps, this workbook is broken up into four sections: Business Concepts, Business Math, Case Studies, and Business Plan. 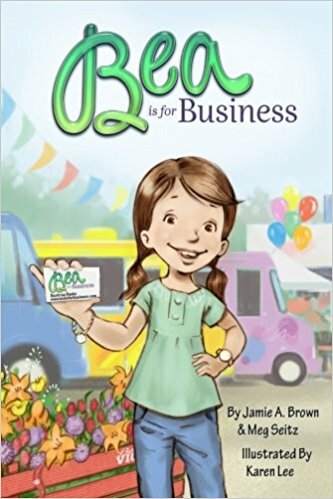 The fun, smart, unique lessons and activities will inspire kids to think business! Applicable to real life, it’s a foundation for improving financial literacy and inspiration for young entrepreneurs.